Apache Cassandra is one of the leading open-source distributed NoSQL disk databases. It is deployed in mission-critical infrastructures at Netflix, eBay, Expedia and many others. It gained popularity for its speed, the ability to linearly scale to thousands of nodes and offers "best-in-class" replication between different data centers. Apache Ignite is a memory-centric distributed database, caching, and processing platform for transactional, analytical, and streaming workloads delivering in-memory speeds at petabyte scale with support for JCache, SQL99, ACID transactions, and machine learning. Apache Cassandra is a classic solution in its field. As with any specialized solution, its advantages are achieved due to some compromises, a significant part of which is caused by limitations of disk storage. Cassandra is optimized for the fastest possible work with them to the detriment of the rest. Examples of trade-offs: the lack of ACID-transactions and SQL support, the inability of arbitrary transactional and analytical transactions -- if the data is not adapted to them in advance. These compromises, in turn, cause logical difficulties for users, leading to the incorrect use of the product and negative experience, or forcing data to be shared between different types of storage, fragmenting the infrastructure and complicating the logic of data storage in applications. However, as active Cassandra users, can we use it in conjunction with Apache Ignite? Keeping in mind that, the aim is to preserve existing deployments of Cassandra and address its limitations with Ignite. The answer is -- yes. We can deploy Ignite as an in-memory layer above Cassandra, and this article shows how to do this. 4. The absence of ACID-transactions. One can argue that here we are trying to use Cassandra for other purposes, and I would agree. My goal is to show that if you solve these problems, the "appointment" of Cassandra can be significantly expanded. By combining man and horse, we get a rider who can already have a completely different list of things than man and horse individually. How can you circumvent these limitations? I would say that the classic approach is fragmentation of data when a part of it is stored in Cassandra while the other is located in different systems that provide guarantees Cassandra can't deliver. The drawback of this approach is increased complexity (and therefore, potentially, the deterioration of speed and quality) and cost of maintenance. Instead of using one system as data storage now applications have to combine and process results from various sources. Also, the degradation of either of the systems can lead to significant negative consequences, forcing the infrastructural team to chase two rabbits. 1. The performance limitations imposed by the disk disappear: Apache Ignite can fully operate in RAM. It's one of the fastest and cheapest storages available! 5. Distributed computing, streaming data processing, machine learning - you can quickly implement many new business scenarios for use that generate dividends. The Apache Ignite cluster takes in Apache Cassandra's data that needs to be queried and enables write-through mode ensuring that all the changes are written back to Cassandra. Next, having the data in Ignite, we are free to use SQL, run transactions and benefit from in-memory speed.. Furthermore, the data can be analyzed in real time with visualization tools like Tableau. Next, I'll give an example of a simple "synthetic" integration of Apache Cassandra and Apache Ignite to show how it works and that it's feasible to achieve. First I create the necessary tables in Cassandra and fill them with data, then I initialize the Java project and write DTO classes, and then I show the central part - configuring Apache Ignite to work with Cassandra. I will use Mac OS Sierra, Cassandra 3.10 and Apache Ignite 2.3. In Linux, the commands should be similar. Run Cassandra with default settings, for testing this will be enough. 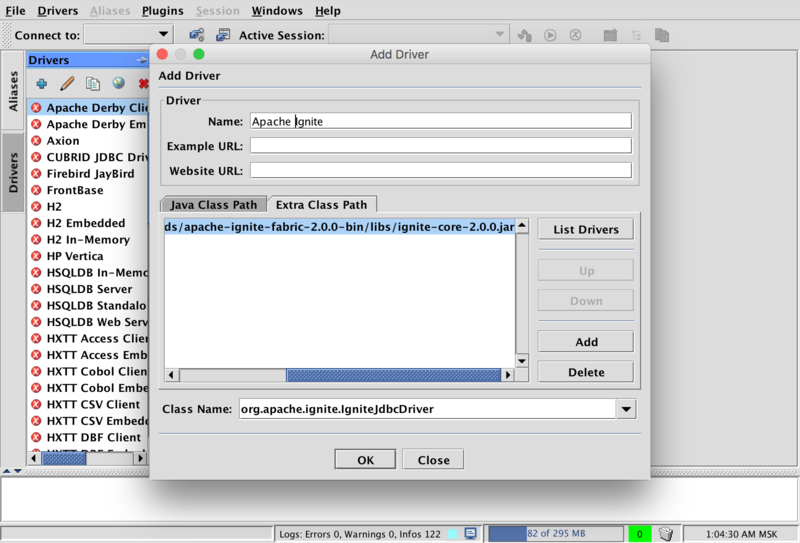 There are two ways to work with Ignite: you can download the distribution kit from ignite.apache.org , add necessary Jar files with your classes and XML with the configuration, or use Ignite as a maven dependency of your Java project. In this article, we will go for the second option. `ignite-spring` to set up Ignite with Spring XML configuration. We mark the @QuerySqlField annotation with those fields that will be queried with Ignite SQL. If a field is not marked with this annotation, it can not be extracted by means of SQL or filtered by it. You can also make more fine-tuning for defining indexes and full-text indexes that go beyond the scope of this example. More information about setting up SQL in Apache Ignite can be found in the corresponding section of the documentation. Let's create our configuration in `src / main / resources` naming as `apacheignite-cassandra.xml` file. Here is the full configuration and its crucial parts are explained later in this post. The configuration can be divided into two main sections. First, is the definition of a DataSource to establish a connection with Cassandra and, second, the definition of the Apache Ignite settings. We define the Cassandra data source with an IP address to use for the connection. For every cache and table combination we enable read-through/write-through modes. 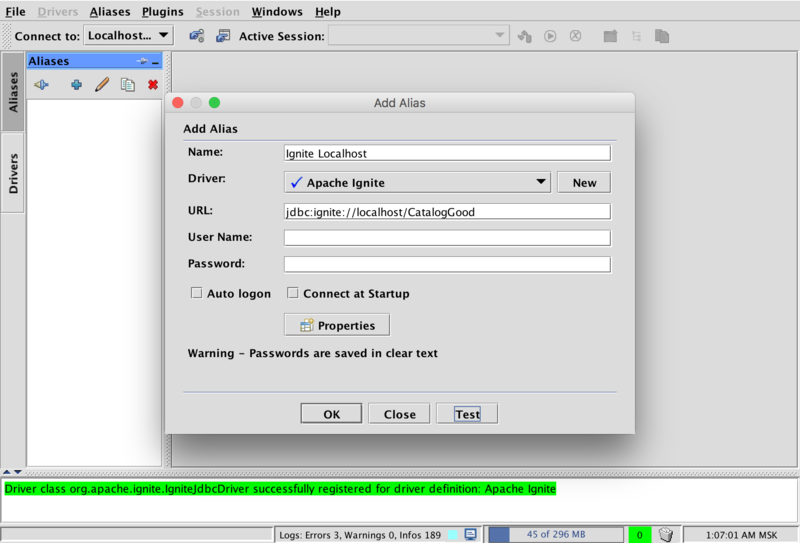 For instance, if something is written to Ignite, then Ignite will send an update to Cassandra automatically. Finally, let's establish a connection with Cassandra. There will be two main subsections. First, we'll point out a link to the previously created DataSource and, secondly, we will need to set how to relate the Cassandra tables and Ignite caches. At the top level (tag persistence) is indicated Keyspace(IgniteTest in this case) and Table( catalog_category), which we will correlate. Then it is indicated that the key of the Ignite-cache will be Long, which is primitive and should be correlated with the id column in the Cassandra table. In this case, the value is the class CatalogCategorythat should be formed with the help of Reflection( stategy="POJO") from the columns of the Cassandra table. More detailed settings for the mapping, which are beyond the scope of this example, can be found in the corresponding section of the documentation. The configuration of the second cache containing the product data is the same. Here we use Ignition.start(...)method to launch an Apache Ignite node and `igntie.cache(...).loadCache(null)` methods to preload data from Cassandra to Ignite. Create a new connection using the URL in the form jdbc: ignite: // localhost / CatalogGood, where localhost - the address of one of the nodes Apache Ignite, and CatalogGood - the cache to which the default requests will go. In this simple example, we've shown how to bring SQL capabilities with the speed of RAM to existing Cassandra deployments by backing up on Ignite. So, if you are struggling with any Cassandra limitations described in this article, try out Ignite as a possible solution for them.